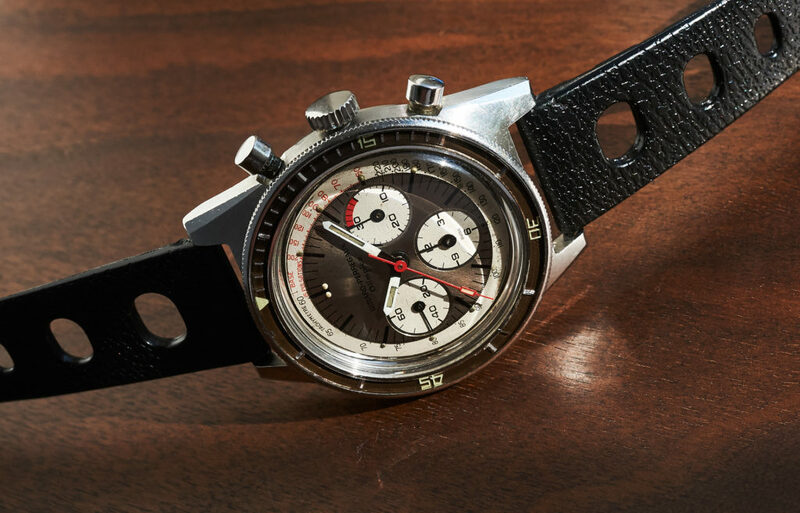 The 9075AF Olimpico is an absolute grail to many collectors. 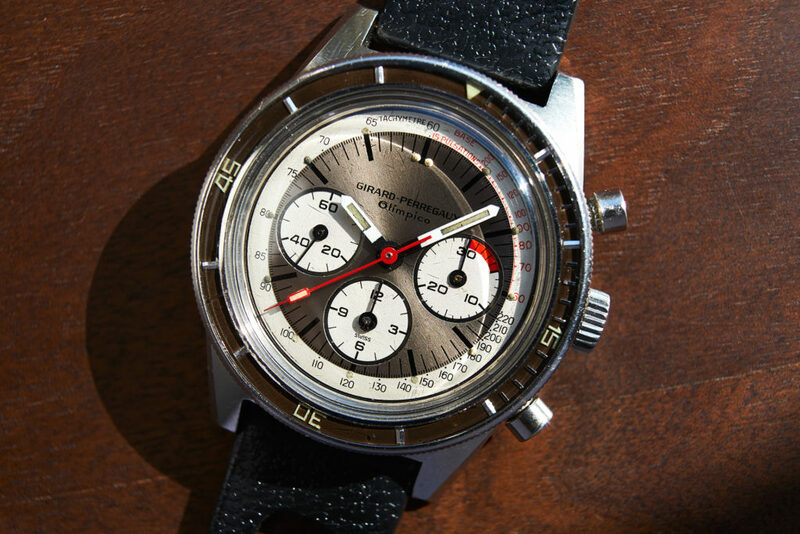 Girard Perregaux used to release chronographs to all Olympic Games in the past. 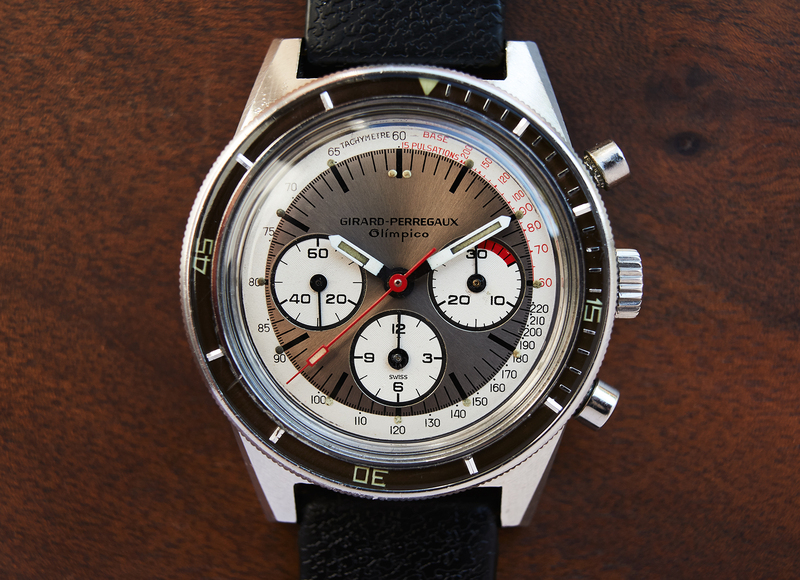 Even if connaisseurs made efforts to find out when exactly this most sought after version of the Olimpicos was released, it´s still not clear today if in 1968, 1972 or even in 1976. 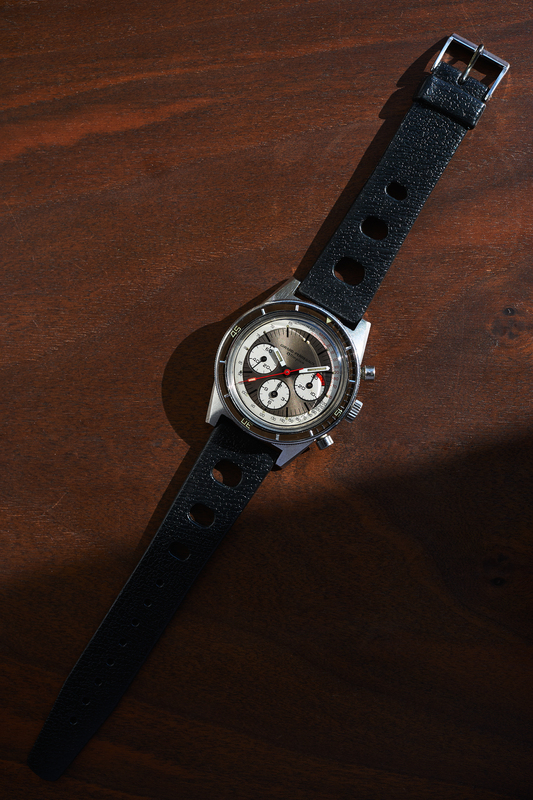 Here is a good Hodinkee article of Louis Westphalen that explains the whole story a bit closer. 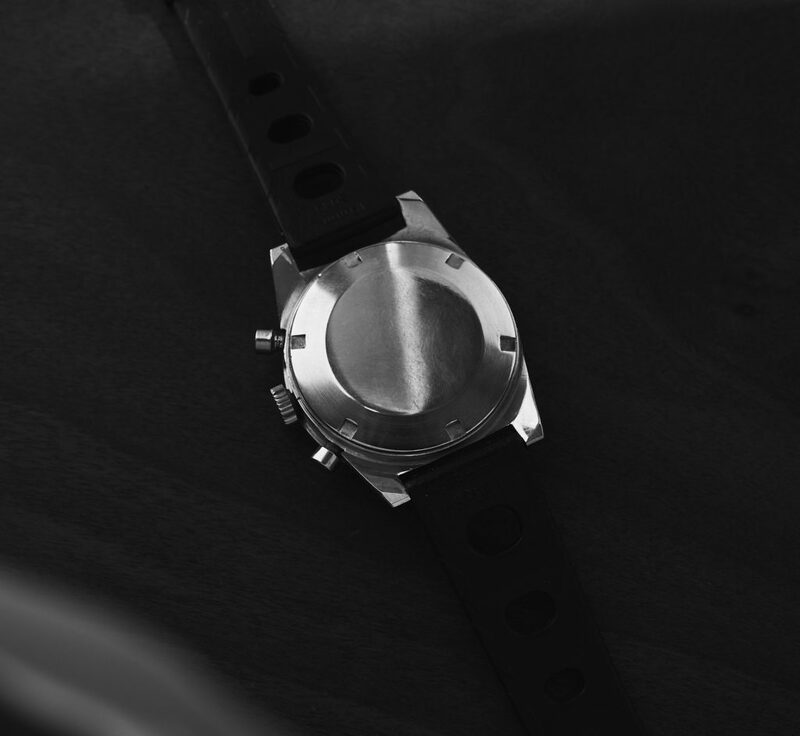 All parts on our watch are the original ones and it´s 39mm steelcase has never been polished before. The overwhelming beautiful fume-colored dial is in great condition and appearing with the original tritium-lume as well as the handset does. 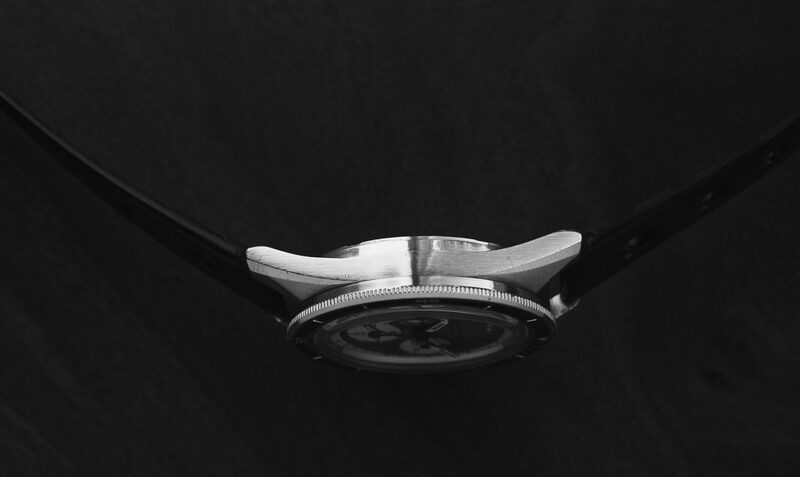 The georgeous Excelsior Park 40 caliber is Girard Perregaux engraved and has recently been fully serviced (invoice will be delivered with). 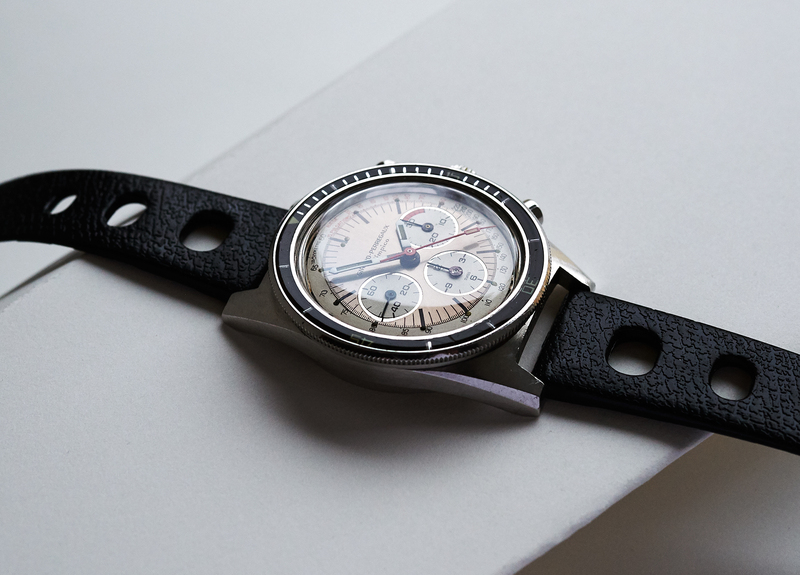 The serialnumber is clearly readable on the inside of the caseback and the crackfree bakelitbezel is in very good allover condition. 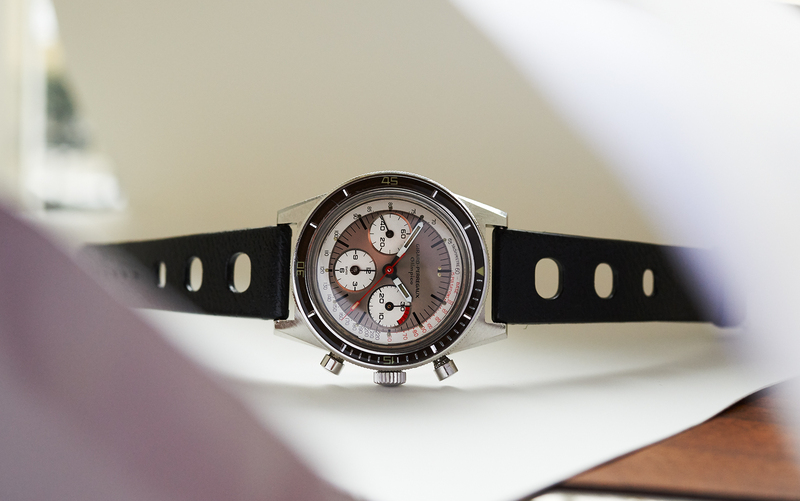 The Olimpico comes on an original vintage sport tropicband. 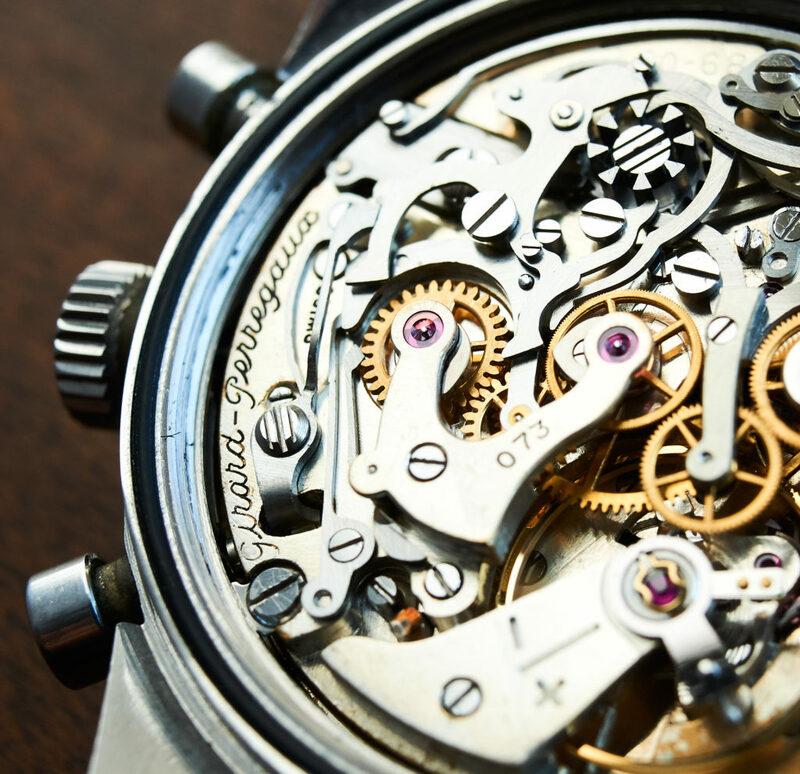 A collectorswatch which is extremely hard to source on todays market.